Even while on vacation, we find a way to train for the race! 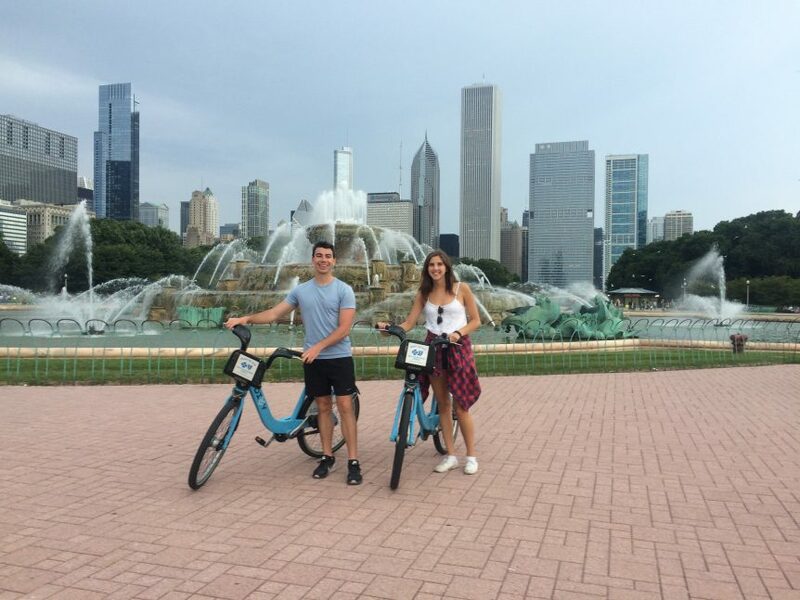 This past weekend, we explored Chicago the best way we knew how: Renting Divvi Bikes – just $9.95 for the day or $7.95 with the online discount code (email sign up found here: http://try.divvybikes.com/save-2/) – you just have to visit a station to exchange/renew bike checkout every 30 minutes to avoid extra charges). From the Field Museum and Navy Pier, to the zoo and Logan Square (and more! ), we biked all along the lakefront trail, the 606 and into the city for an all-around Chicago experience. And we definitely got a workout on those 40-pound bikes! The (mostly) bike-friendly streets in Chicago have simply confirmed my notion that riding bikes is one of the best ways to explore a city. This especially holds true to Colorado towns, as there are bike trails everywhere, leading to endless attractions and of course, mountain views. As we get closer to the Pedal the Plains ride, I become increasingly excited to explore the rural Colorado towns by bike!